Reading is supposed to be enjoyable. 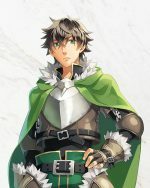 However, in Nil Admirari no Tenbin, reading can be quite dangerous, especially when there are cursed tomes that, to most, look like normal books. This wild idea makes Nil Admirari no Tenbin an exciting anime that we here at Honey’s Anime are quite enjoying at the moment and also makes us want to revisit other shows that remind us of it. 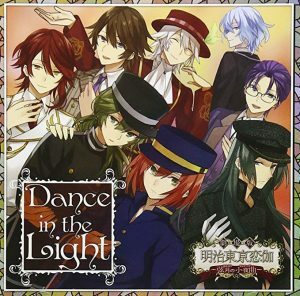 While there are too many similar shows about cursed books, handsome dudes and mysterious organizations, we could still recommend some shows that have a few of the same themes as Nil Admirari no Tenbin. That—by the way, folks—is exactly what we plan to do today. Our mission today is simple, ladies and gentlemen. We wish to recommend to you readers 6 Anime Like Nil Admirari no Tenbin so you can enjoy some shows that you might never have heard of before. 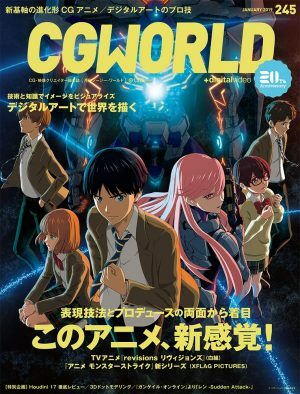 These anime series will be filled with action, drama, romance and of course handsome guys that seem to all love one girl in particular. At the end of the day, our article will accomplish a mission of vital importance. Give you some quality anime to watch while Nil Admirari no Tenbin still airs so we won’t be tortured weekly waiting for a new episode to drop. At a young age, Cardia Beckford lived with her father in a village enduring non stop attacks from the villagers. This was due to the fact that Cardia was seen as not a normal girl but something of a monster due to her strange body filled with a deadly substance that destroys anything she touches. Now older, Cardia has been locked away in a tower to be hidden away from the world. Cardia waits patiently hoping death will come to her sooner than later. However, what ends up coming to Cardia is a man named Lupin who wishes to steal her away for reasons unknown. What will happen next for Cardia as she ends up looking for her father and entering the journey of her life? Mystery, intrigue and handsome single men are just some of the themes found in Nil Admirari no Tenbin. Equally, the same concepts are also in Code:Realize - Sousei no Himegimi. 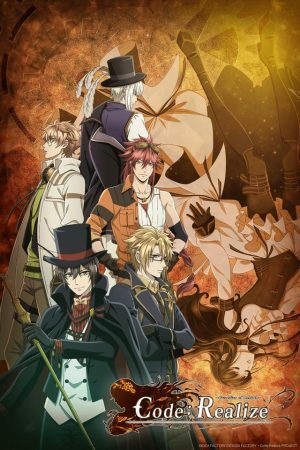 With an action-packed story of dark mysteries surrounding Cardia and her father, Code:Realize - Sousei no Himegimi is an incredible anime series that grips the audience from start to finish. We personally loved Code:Realize - Sousei no Himegimi and we think you readers will too. Solid animation—thanks to studio M.S.C—and a wonderful story will be just a few of the reasons why we recommend Code:Realize - Sousei no Himegimi. Magic-Kyun! 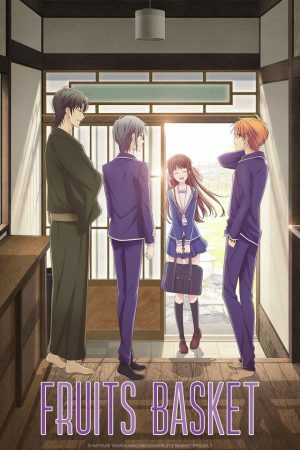 Renaissance tells the story of a young woman named Kohana Aigasaki as she attends a rather strange school. 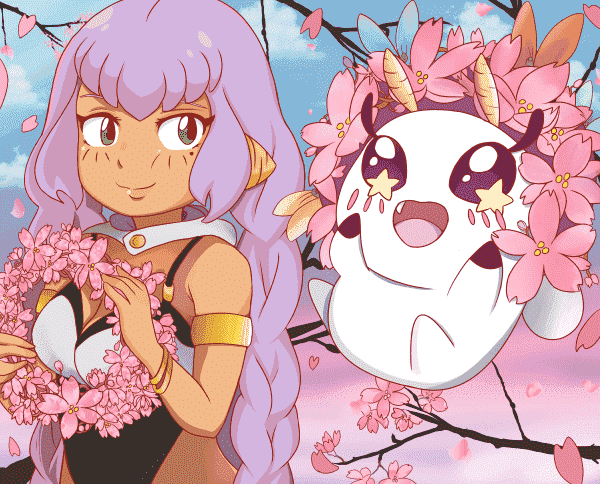 In Kohana’s world, art isn’t only beautiful but it can also create magic in a multitude of ways. 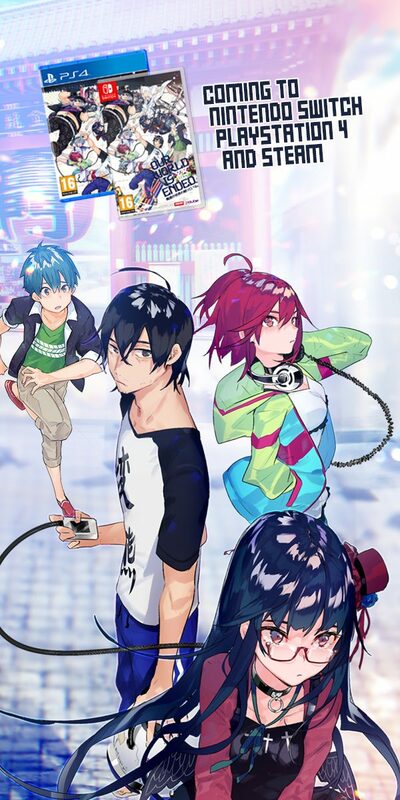 This new school Kohana has been enrolled in called Hoshinomori Private Magical Arts High School where talented creators use their magical art powers—called Artistas—to show their skills and find a place in the world of show business. Kohana herself gets wrapped up with some of these students with their lofty aspirations to make an event at the school known as the Hoshinomori Summer Festa cultural festival—or Hoshi Fes—a resounding success. 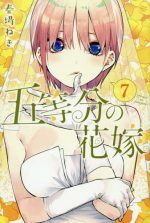 Though love may also become an art as the six students Kohana gets paired up with all happen to be attractive artists who wish to win her heart! One anime has cursed books that cause strange magical things to happen and another series focuses on art that can become literal magic. While Magic-Kyun! Renaissance might be lighter in tone than Nil Admirari no Tenbin, the two shows are still perfect for those who love reverse harems. Magic-Kyun! Renaissance also had some awesome ideas that made the fellow artist in us imagine a world where art could become literal magic. Needless to say, if you missed out on Magic-Kyun! Renaissance in 2016, now is the time to binge it. It will be the perfect way to spend a weekend waiting for more Nil Admirari no Tenbin to release. Ritsuka Tachibana has always been the ideal student, working hard in class and never getting into trouble. That’s why it came as shocking surprise when Ritsuka is told to see the student council! Though this isn’t the only strange thing that will happen to Ritsuka. Soon Ritsuka’s normal life will turn upside down and land her in a stream of strange incidents linked with her mother and the student council members!? Welcome to Dance with Devils where vampires and devils aren’t fictional ideas but real entities…that aren’t too far from Ritsuka’s life. Reverse harems always seem to adhere to a set list of themes and principles. Handsome dudes, romance and some girl finding out she has some strange power that has always been within her. 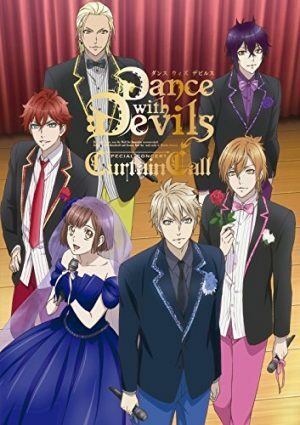 Sometimes, these stories can be rather cliché but that isn’t the case with Dance with Devils which infuses all that we mentioned with action and even solid music. Dance with Devils is easily one of our all time favorite reverse harem series and we know you readers will love it too if you like good music and romance. Plus, for those that love attractive dudes in your anime, Dance with Devils is chock full of them for you to ship with Ritsuka. 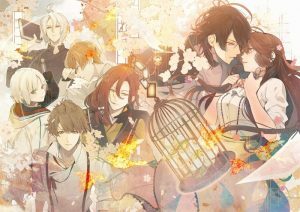 Any Anime Like Nil Admirari no Tenbin / Any Anime Like Nil Admirari The Mysterious Story of Teito? If you were in the mood for a more action-packed story than what is offered by Nil Admirari no Tenbin, we recommend checking out the samurai epic known as Hakuouki. 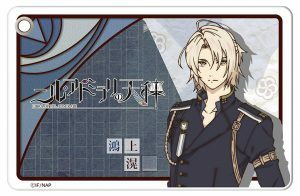 Originally an otome based visual novel game, Hakuouki is filled with samurai action, supernatural themes—just like Nil Admirari no Tenbin—and a slew of attractive samurai warriors. 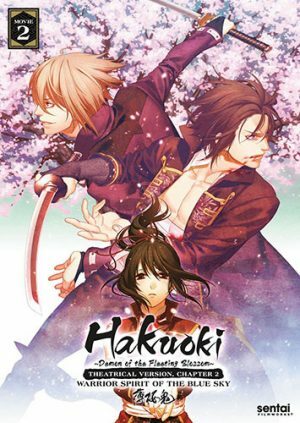 Hakuouki is definitely one of those series that we think can appeal to any gender and group of anime watchers as it just is a cool show with solid animation—from Studio Deen—and a solid story that will wow you from episode one to twelve. Samurai fans and otome lovers who missed Hakuouki when it released in 2010 need to rectify this situation immediately! Yui Kusanagi is just your average girl who just so happens to end up in a rather unusual situation. Yui has been taken from her home world and sent to a strange foreign land to teach the gods of this world what it means to be human. While Yui wouldn’t hate this situation—seeing as how these gods are pretty hot looking guys—there is one small problem with Yui and the gods being in this world. If Yui fails to teach them how to be human in one year, they will forever remain in this realm! Can Yui teach gods to be like her?! 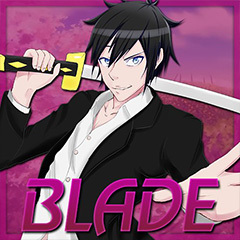 Have you gotten tired about hearing attractive anime dudes yet? We here at Honey’s Anime doubt it, and that’s why we have another perfect anime filled with guys to ogle at. 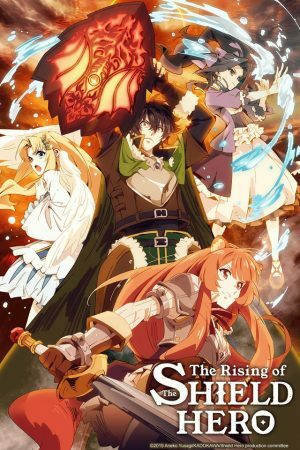 Known as Kamigami no Asobi, this isekai themed anime is filled to the brim with romance, harem elements and fantasy elements perfect for an isekai infused story. 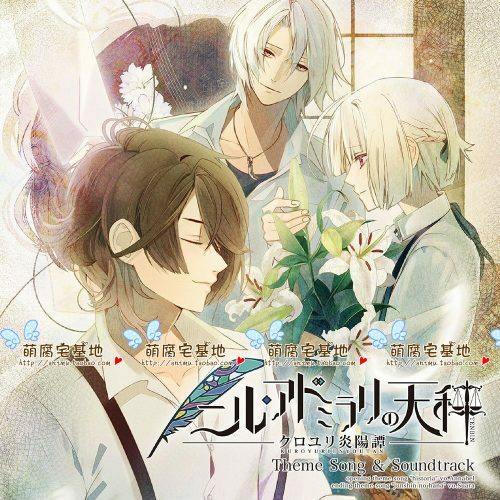 Yui from Kamigami no Asobi and Kuze from Nil Admirari no Tenbin might be in different situations, but they share the concept that both were normal until something awe inspiring happened. Plus, both girls are surrounded by dudes who want them, so there’s that, too. Hino Kahoko goes to a musical school where the students are separated into two groups. On one hand, you have the normal group who wear grey clothing while the other is a musical group who wear all white. However, Hino ends up entering a musical competition in the school and ends up gaining a magical violin from a fairy only she can see. Despite having no musical skills, Hino learns this violin can allow the user to play anything they wish if they believe they can play it. 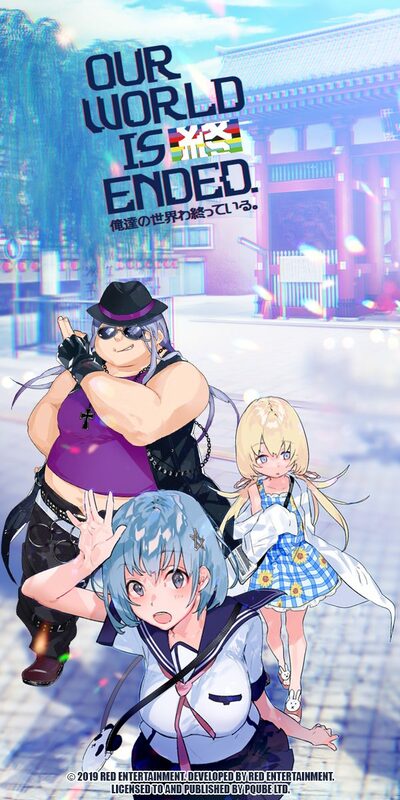 Hino must gather the courage to believe she can win this competition so she can win this musical competition and show her peers what skills she truly has! Let us wrap up our 6 Anime Like Nil Admirari no Tenbin list with another magical based reverse harem in the form of the music themed Kiniro no Corda: Primo Passo. 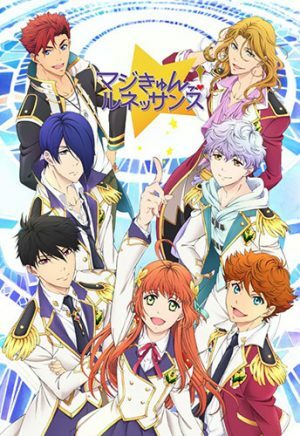 While Kiniro no Corda: Primo Passo focuses on magic and not books, that doesn’t make this anime series any less comparable to Nil Admirari no Tenbin. 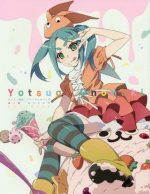 Both shows have a wonderful animation style and both shows share the theme of a young girl showing her talents despite being so normal. It’s a rather tried and true theme to hear about but Kiniro no Corda: Primo Passo does a great job of keeping the cliché elements fun and exciting. 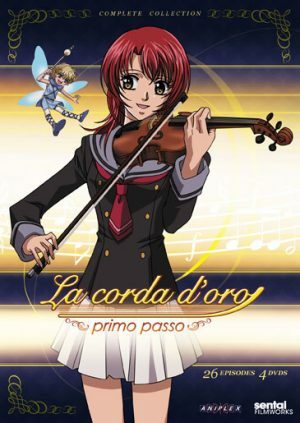 If you need a step away from the action and want some comedy, music, drama and romance we recommend watching Kiniro no Corda: Primo Passo. 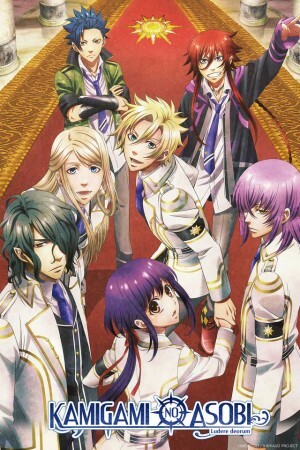 Then let us know which guy you fall for in Kiniro no Corda: Primo Passo. Nil no Admirari no Tenbin is a truly interesting anime with a killer opening—seriously it’s one of our personal favorites of the season—and a gripping narrative. For most otome fans, the handsome guys is the sprinkles on top of the already packed sundae that is Ni no Admirari no Tenbin. 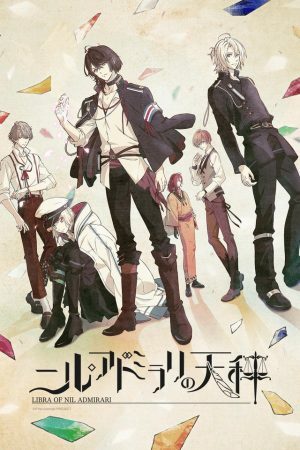 However, regardless of your reasons to why you’re watching Nil no Admirari no Tenbin we think the shows mentioned above will be perfect for you to check out whenever you can. Which anime did we mention in our 6 Anime Like Nil no Admirari no Tenbin list do you want to check out? Tell us your thoughts in the comments down below. 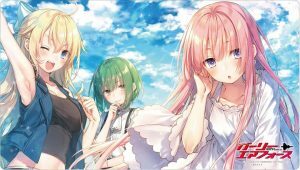 If you liked this recommendation list, we have many more for you beautiful readers to check out here at Honey’s Anime. 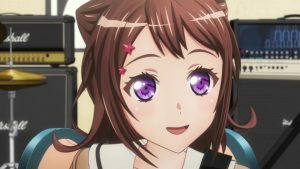 Get a Better Feel For Reverse Harem Anime Nil Admirari no Tenbin With The Three Episode Impression! Nil Admirari no Tenbin (The Scales of Nil Admirari ~The Mysterious Story of Teito~) Review – This is the story of Kuze Tsugumi and her tomorrow.